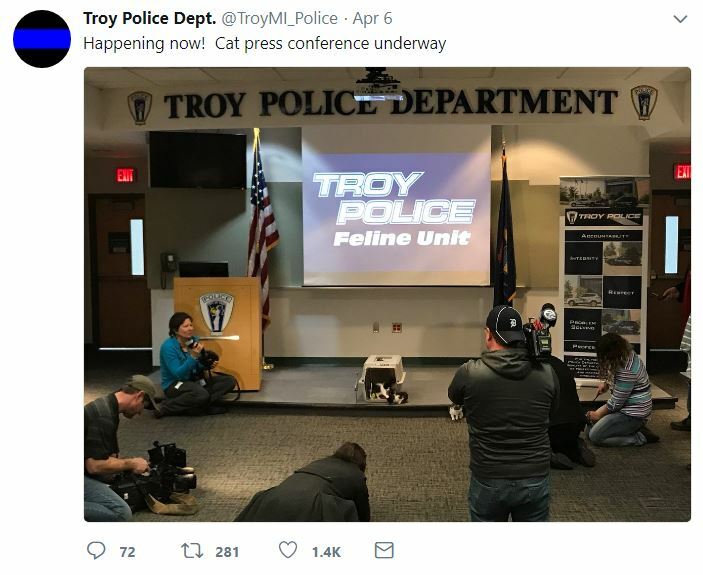 When the Troy Police Department said if they got 10K Twitter followers before May the would hire a police cat, they had no idea how the public would respond. 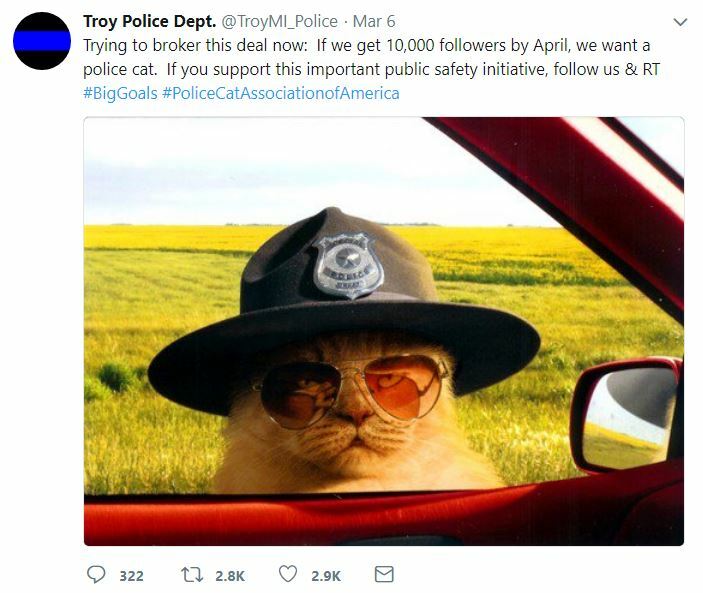 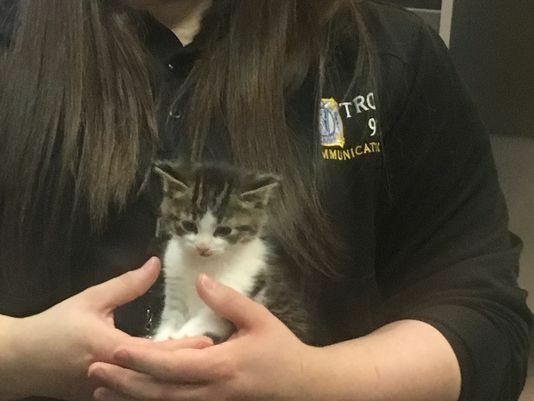 When the Troy, MI, Police Department set out the challenge in March they would get a police cat if their Twitter followers increased to 10,000 by April, they had no idea in almost no time, weeks before the April deadline, the challenge would be met with flying colors. 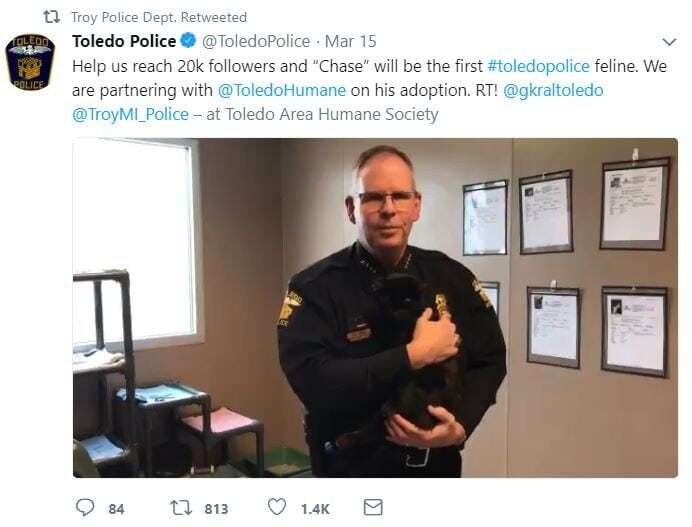 So much so, it inspired the Toledo Police Department to also get a cat. 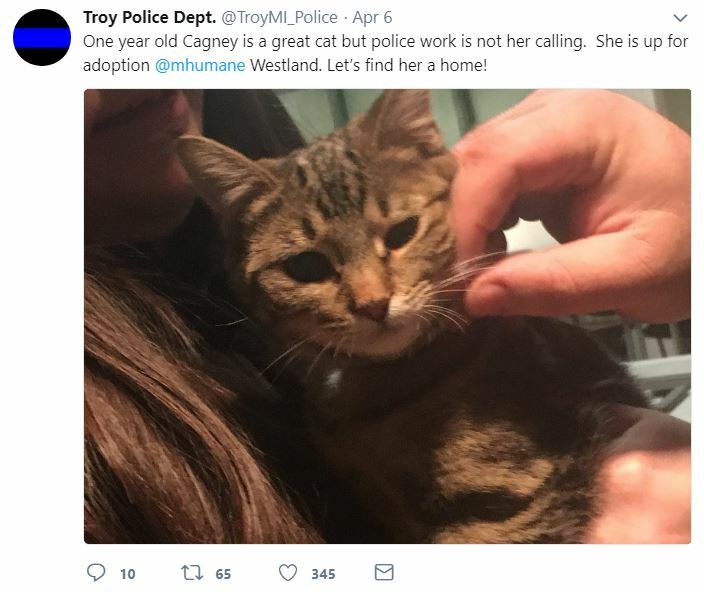 In addition to promoting the adoption of Cagney, the police have shared they would encourage the same for all the furry recruits who didn’t get the job and will be available through the Westland Michigan Humane Society location. 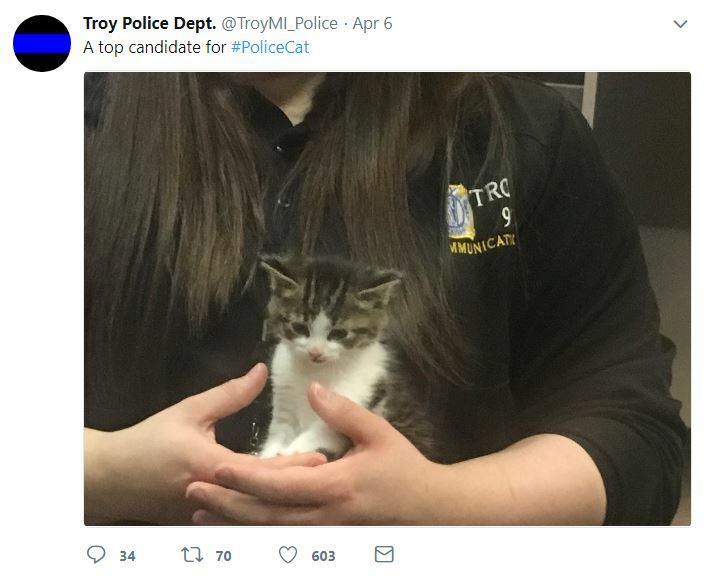 And for the record, these officers LOVE cats. 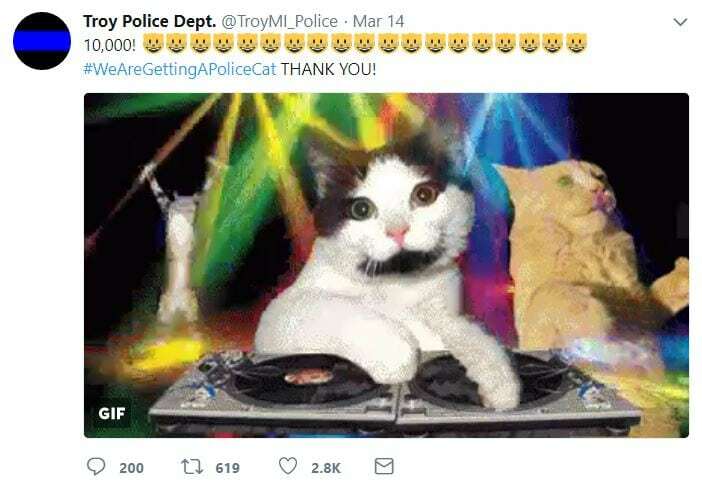 Just scroll down their Twitter feed to see how much and check out them out on Facebook, too, to see how the latest addition to the police force is doing.